The ASX small cap on our radar today falls into a category we’ve never previously covered here at The Next Small Cap. This nimble company is a China-Australia cross-border specialist in Fast Moving Consumer Goods (FMCG) exports. It develops in-house brands for Australian products for sale offline and online, with a strategic focus on milk products. China is the world’s second largest importer and consumer, making this is an astute move. In the next five years, China expects to import products and services valued at over US$10 trillion. On top of that, China’s middle class — a central demographic for this company’s business, and one which has developed a voracious appetite for Australian products — sits at between 100 and 145 million people. Products – in-house products offering security of supply, control over positioning and pricing, and higher margins. Cross-border and online sales – driving its brand presence. Distribution – high-volume wholesaling to daigou (‘personal shopper’) groups and Chinese distribution channels. Retail – driving a strong Chinese brand presence, and a combination of high sales volumes and margins. A pivotal platform for this company’s retail presence and distribution network is the upcoming inaugural China International Import Expo (CIIE), where Australian businesses are invited to showcase their products and services. The CIIE was designed to introduce imported products to Chinese buyers and distributors, effectively opening up the buzzing Chinese marketplace to the world. Over 500,000 visitors from China and around the world are expected to attend the first expo in November — a few short months from now. In short, the expo will deliver major exposure for this company’s in-house and client brands, which include the likes of Sukin and Country Life. 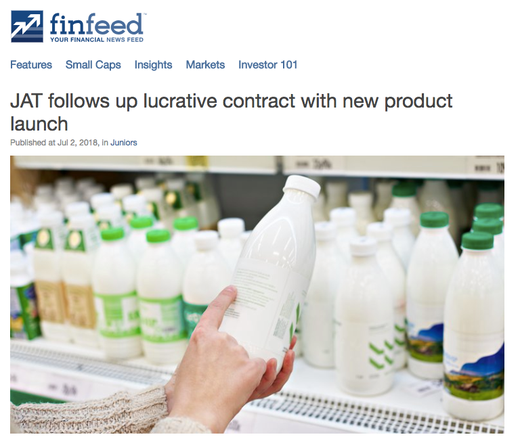 Speaking of which, this ASX small cap last month scored a major piece of the milk products puzzle, announcing its proposed acquisition of 51% of Sunnya Pty Ltd. Sunnya is an Australian exporter with a portfolio of milk powders and health products currently selling in China. Importantly, the Sunnya acquisition will give the company control of NEURIO, a Lactoferrin milk powder that is one of Sunnya’s core products, that’s sold in supermarkets, and maternity and baby stores. This follows on from several other important acquisitions — that of Australian dairy brand, Golden Koala Group, which produces a range of pure dairy milk products including baby formula, as well as the proposed acquisition of a controlling interest in Sydney-based wholesaler, distributor and exporter, Green Forest International. There is still some work to be done with the Green Forest acquisition so investors should seek professional financial advice for further information if considering this stock for their portfolio. With these advantageous acquisitions under its belt, this supply chain play has also recently penned a string of high-impact partnerships with some internet giants for cross-border distribution of its products. One such deal is with Australian Huibao International Group — an Australian-owned company which operates a ‘Community O2O’ business in five regions of China. O2O, or ‘online-to-offline’, draws potential customers from online channels to make purchases in physical stores. Huibao, which has already placed its first order for 960 tins of Lactoferrin, will promote and sell the company’s products through its community O2O platform, using mobile apps to promote, sell and deliver the products to consumers. Today’s featured company has also struck a lucrative distribution deal with Cyclone E-Commerce. Cyclone supplies global maternity and baby brands, health products, snacks, and skincare products through the Hipac, Momtime and other maternal and baby platforms, as well as to O2O experience stores and micromarts. This agreement will see Cyclone purchase over $7.5 million in product over the next 12 months —considerable revenue for a single product. All in all, that’s some expedient work for one ASX small-cap. And that’s not even all it has going in its impressive portfolio. The company has also been busy cultivating a niche for itself in the maternity and children’s sectors, having advanced the development of its first self-branded maternity and children’s shop in the 80,000 square metre Hui Yue Shopping Mall in the city of Zhengzhou, which is home to some 100 million people. If the company manages to get a solid foothold in this bustling market, it could add to its already significant revenues. 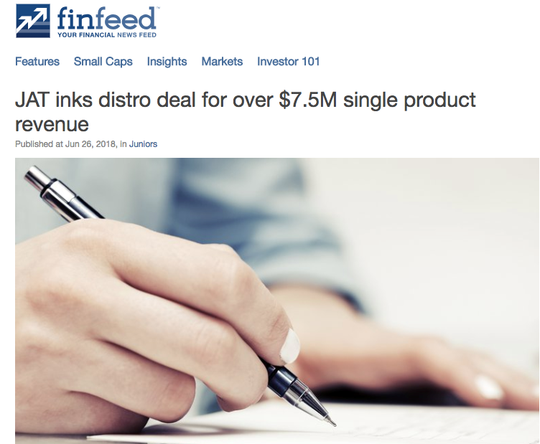 It boosted its revenue from $1 million in 2016 to $10 million in 2017, and more meticulously selected acquisitions could very well boost revenues for this $52 million-capped company even further. JAT Energy (ASX:JAT) is focused on assembling an unparalleled portfolio of products, cross-border platforms, daigou and distribution channels, and developing an extensive retail presence to fully capitalise on Chinese consumers’ appetite for Australian produce. JAT’s end-to-end export service offers a fast, cost-effective, one-stop solution for Australian companies seeking to launch and build their brands in China. 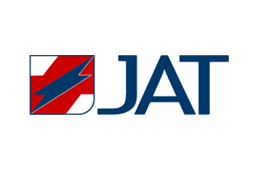 As its name suggests, JAT was previously an energy company, but morphed into a FMCG export goods business in 2015, taking advantage of the China Australia Free Trade Agreement (ChAFTA). Since then, this FMCG-focused business has blossomed significantly, reaching FMCG turnover of $10 million in the 2017 financial year. Also putting JAT in a sound financial position is the $5.86 million it recently raised, which will enable smooth sailing as it rears up for the CIIE in November and prepares its maternity and kids’ store for take-off. As we’ve mentioned, JAT develops in-house brands for Australian products for sale offline and online, with a focus on milk products. We’ll look at some of these in more detail shortly, but it bears mentioning that supplying China with baby formula can be lucrative. A 2017 report provided by global consulting firm, McKinsey and Co found that 54% of its survey group, comprising some 10,000 people from 44 Chinese cities, preferred a foreign brand for baby formula — the highest share for any consumer goods category. That’s certainly proved to be true for a2 Milk Company (ASX:A2M). 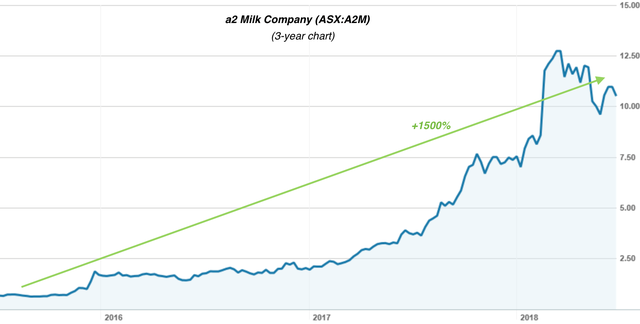 Shares in the ASX-listed company, which exports infant formula as well as fresh milk into China, have gained an impressive 1500% over the past three years. The fact that Australian products in general are hot commodities for Chinese consumers is also illustrated by the booming daigou trade, which we’ll explore a bit later. All up, it seems JAT’s emphasis on this sector is clearly a strategic move. Note, though, that milk products are just one slice of the JAT pie. Other products on JAT’s radar include wine, cosmetics, nutraceuticals, biscuits and organic oils. JAT has also partnered up with a slew of cross-border internet heavyweights to sell and promote its products — we’ve already mentioned Cyclone and Huibao, and there’s also JD Global, Kaola, Xiaohongshu, TMall, and Beibei. Over the 12 months to October 2016, the value of Australian dairy exports to China rose from US$380 million to US$660 million, and the bulk of this growth was due to milk powders, including infant formula. Australian exports of infant formula to greater China grew from $US74 million to $US275 million, more than 95% of which was retail-ready, packaged formula. This is an important point given JAT’s recent acquisition of Sunnya — an Australian exporter that’s developed branded product ranges for health, maternal and baby markets in China. 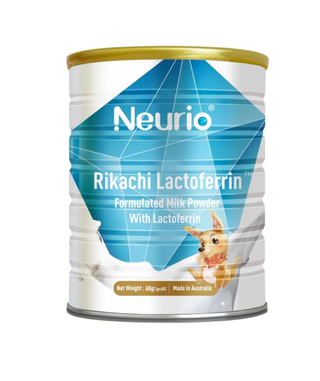 NEURIO – Lactoferrin Milk Powder, DHA Algae Oil Softgel, and Probiotics Liquid, primarily selling in maternal and baby stores and local supermarkets. RAICARE Goat Premium Infant Formula – an application for CFDA approval to continue sales under the new regulatory regime has been lodged. With this key NEURIO product in its hands, JAT revealed in late June its newly penned distribution deal with Huibao — an Australian-owned company which operates a Community O2O business in the Chinese regions of Shiyan, Beijing, Xi'an, Tianjin, and Changsha. This twelve-month agreement will see Huibao promoting and selling JAT products through its O2O apps. Huibao’s Community O2O business has been utilising mobile apps to promote, sell (via a mobile payment gateway) and deliver products to consumers since 2013. Huibao has placed its first order with JAT for 960 tins of Lactoferrin Milk Powder, which JAT will purchase from Sunnya for resale. As we’ve mentioned, NEURIO also sits at the heart of another recent distribution deal with Cyclone E-Commerce. This deal will see Cyclone purchase over $7.5 million in product from JAT over the next 12 months — sizeable revenue indeed for a single product and a single customer. Cyclone is a distributor based in Hangzhou City, Zhejiang and is part of the London-based Gingko International Limited group. It uses proprietary cross-border e-commerce platforms and bonded warehouses to deliver global products to Chinese consumers. Cyclone will purchase 300,000 tins of Lactoferrin Milk Powder from JAT over a 12-month period at the best market price, and has exclusive rights to sell the product on the Hipac and Momtime platforms. Sunnya, meanwhile, has agreed to supply JAT with all the NEURIO product required for the deal, regardless of whether the acquisition proceeds. Adding to what seems to be a veritable laundry list of carefully chosen alliances, back in April, JAT sealed a deal with Chinese state-supported retail powerhouse Shanghai Dragon Corporation (SDC) to bring Australian products to Chinese consumers, and to co-develop own-brands for the Chinese market. SDC’s first order is for a shipping container of Australian oats for sale in retail stores across China. Space will be set aside within 4000 SDC stores for JAT speciality shops, which will sell a range of JAT imported goods supplied by JAT. It should be noted here that JAT remains a speculative stock and investors should take all publicly available information into account before making an investment decision with regard to this stock. The two companies are also collaborating to co-develop the Cobbity Country brand in Australia and China for a range of in-house products including biscuits, toothpaste, soap and other high-value fast-moving consumer goods. Cobbitty Country is developing a range of scientifically validated dairy milk powders, including ione milk plus+DHA Instant Full Cream Milk Powder — a product that offers consumers a healthy, delicious alternative to fresh milk. In conjunction with Cobbitty Country, another key part of JAT’s strategic move to develop its own brands for cross-border sale and export to China is Golden Koala, of which JAT has acquired 51%. Golden Koala, whose dairy products are being sold by Chinese e-commerce giant JD Global, has launched a new high-calcium full-cream milk powder and a new premium OPO infant formula for the Australian and overseas markets. OPO (Oleic-Palmitic-Oleic) is a triglyceride fatty composition found in mother’s milk. Clinical studies associate OPO with increased absorption of calcium and energy, increased bone strength, healthier gut bacteria and intestinal health, less crying and constipation, and better sleep. Chinese consumers are aware of these benefits, making OPO formulas particularly sought after. One of the brands is Golden Koala Premium Infant Formula, a product for newborns to 6 months with a ‘premium follow-on formula’ for 6 to 12 months. Then there’s a premium toddler milk drink pitched at the 1 to 3-year-old group, which will be sold through the network of cross-border distributors that JAT has been developing in China and other countries over recent months. High-calcium Golden Koala full-cream instant milk powder will also be sold through cross-border distributors, as well as wholesaled to domestic distributors for sale in Chinese shops and supermarkets. Golden Koala has placed an initial order of one container of each of these products with its contract manufacturer in Australia. The Chinese label formulation for Golden Koala Premium Infant products has also now been finalised — a key milestone in the CFDA approval process for domestic Chinese distribution, as samples can now be prepared for laboratory testing, which is a major preparatory step before the CFDA application is finalised. Bearing in mind JAT’s focus on creating a strong retail presence in China, it’s also been hard at work behind the scenes carving out a niche for itself in the maternity and children’s sectors. JAT has now advanced development of the first JAT Maternity and Children’s Shop in Zhengzhou — the capital city of the Henan province, which is home to some 100 million people. Opening in the next few months, Hui Yue Kid's City will be the largest indoor children's themed shopping centre in Zhengzhou, spanning 18,000 square meters over three levels. 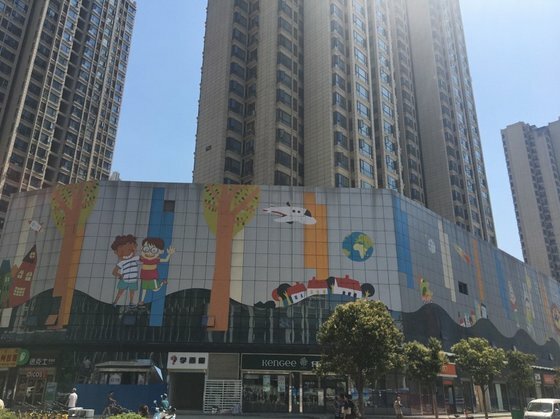 It offers a one-stop shopping experience for expectant mothers and the families of newborns through to children aged twelve, is part of the 80,000 square metre Hui Yue Shopping Mall. JAT will offer its own-brand products in shop, together with those of other Australian and international producers, offering up exceptional Chinese retail exposure. Speaking of which, it’s worth noting that this development in particular is the result of JATS’s ability to leverage its relationship with the Sheng Run Group. The company has already secured an order for the supply of 960 tins of Lactoferrin from Sheng Run to purchase NEURIO, which will be supplied to local residents at the mammoth Hui Yue City. JAT is also looking to establish further stores in other Sheng Run Group shopping malls, with locations currently being scouted. Overall, JAT is making strides in forging a robust Chinese retail presence, and is wasting no time diversifying its offerings. We’ve already noted that China is the world’s second largest importer and consumer, but it’s something that bears repeating here. In the next five years, China expects to import products and services valued at over US$10 trillion, making this space a boom for a supply chain play like JAT. China’s middle class comprises 109-145 million people, tens of millions of whom are already buying from overseas, further fuelling demand for Australian products. Consider the emergence of ‘haito’ shoppers — mainland Chinese consumers who buy overseas goods by directly placing orders with foreign shopping websites. 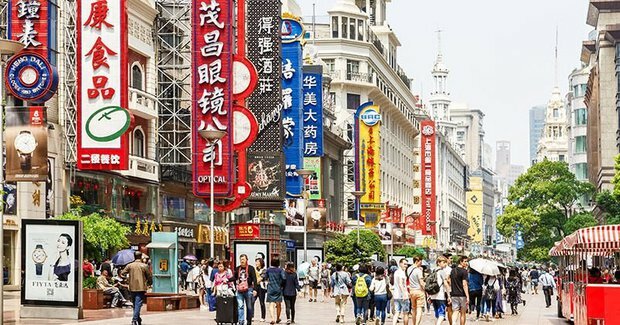 The China E-Commerce Research Centre predicts that China’s haito shoppers will increase from 18 million in 2014 to 35.6 million by 2018, with the amount spent growing from Rmb150 billion in 2014 to Rmb1 trillion yen in 2018. 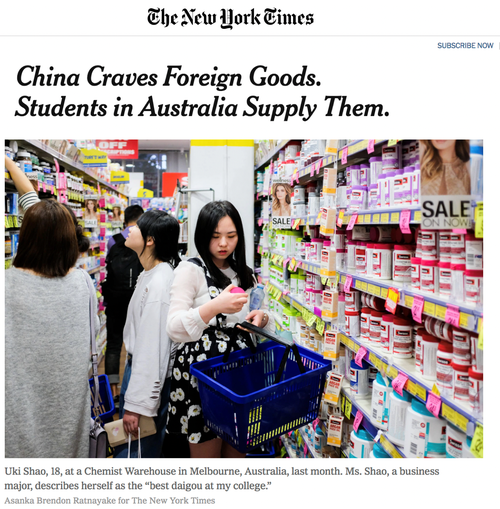 Essentially, daigou — a Putonghua term for someone overseas who ‘buys on someone else’s behalf’ — are ‘personal shoppers’, often students and usually from the Chinese community, buying Australian products on behalf of social contacts residing in China. There are estimated to be 10,000 to 40,000 daigou in Australia who are shipping products worth at least $350 million per year. The most popular products in daigou trade are vitamins, skincare, and especially baby formula... making the fact that JAT wholesales to daigou channels especially important. 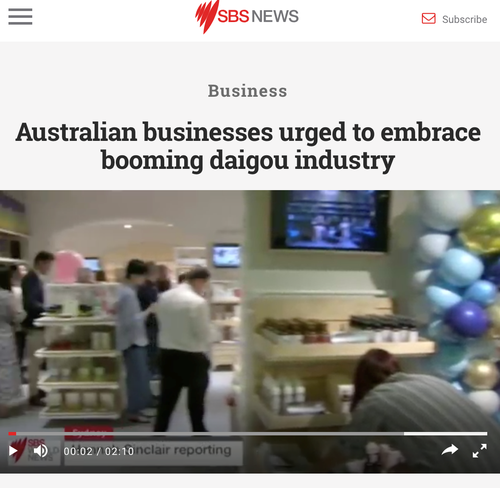 As the New York Times article below explains, this thriving daigo trade — which is fuelled by Chinese anxieties around counterfeit goods and home product safety — reflects the growing economic interdependence between China and Australia, and with all the challenges that come with closer ties between a wealthier nation of 24 million people and a rising power of more than 1.3 billion. China is now Australia’s biggest trading partner, and Chinese investment in Australia is growing at an explosive rate. On top of these kinds of factors, there’s also the Chinese Australian Free Trade Agreement (ChAFTA), which was signed on November 2014 after nearly 10 years of negotiations. Over time, ChAFTA will mean that 95% of Australian exports to China will be tariff free. What this means for JAT in the long term remains to be seen, so investors should seek professional financial advice for further information if considering this stock for their portfolio. 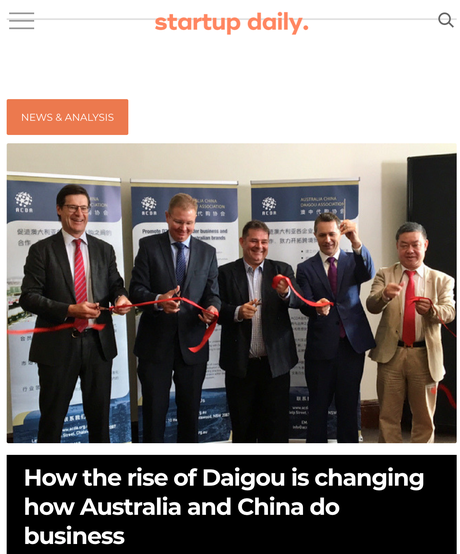 Together with obstacles to the informal daigou trade, ChAFTA opens the door to Australian businesses wanting to sell into China. Playing a starring role in the Chinese import market — and in JAT’s success — is the CIIE. Designed to introduce imported products to Chinese buyers and distributors, the expo enables an unprecedented opportunity for Australian businesses to reach China’s expansive marketplace. The expo was announced by Chinese president Xi Jinping in May 2017, signalling strong central government support for trade liberalisation and actively opening the Chinese market to the world. Over 500,000 visitors from China and around the world are expected to attend the first expo in November this year, held in Shanghai, including 150,000 domestic and foreign professional purchasers for private companies, state enterprises, and provincial and municipal governments. With that in mind, JAT has secured ample exhibition space to create a highly visible presence for its in-house product ranges. 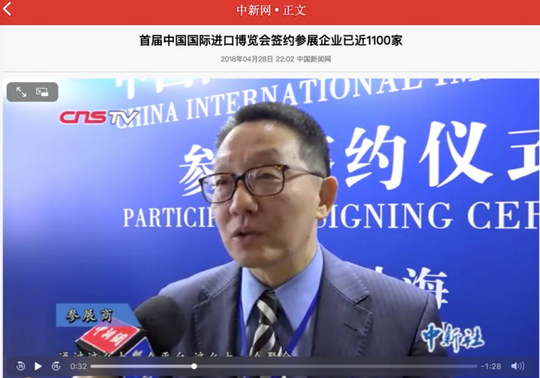 Golden Koala’s range of milk products, along with NEURIO products (perhaps even more so), will be given an especially strong presence at CIIE, after participating in a prestigious signing ceremony alongside a cluster of Fortune 500 companies. JAT has shrewdly cottoned on to the highly lucrative opportunity to be had in China-Australia cross-border exports, and has cultivated a seamless, lightning-fast end-to-end service to Australian companies looking to tap into this expansive market — not to mention its own clutch of rapidly expanding brands. These are still early days for this nimble supply chain play, and JAT is currently capped at a modest $52 million. Yet with a string of influential partners and a swathe of trusted in-house and big-name client brands — and much more to come in terms of strategic acquisitions, partnerships and products — there’s plenty of room for more growth in this rapidly maturing company’s future. Is JAT’s First $10M in Sales a Stepping Stone to the Trillion Dollar China Retail Market?